Bug Me is one of those great sets where you can build any number of cute bugs by combining different bodies legs and wings, but I decided to use the wings as hearts in my card! I think it works rather well! I used the gorgeous colour combination at the Paper Players to make this card. I'm also entering it into the challenge at CASual Fridays where the theme is Love Songs - make a card based on a favourite song. The song I've chosen is Love Bug by the Jonas Brothers - although I have to confess it's not really a favourite of mine. Incidentally, the boys in this band used to be so pretty that they were irreverently nicknamed the Jonas Sisters in this house - although I'm entertained to see that they've manned up considerably in recent years! On the subject of bugs: can anyone explain to me why my cat, who can barely open one sleepy eye while a spider sashays through the living room thumbing its nose at her and waggling its bottom, is immediately galvanised into violent action at the sight of a small circle of light from a torch? Life! I will never understand it! Oh, this is adorable! You really know how to think outside the box....they DO looks like hearts! Thank you for playing with us at The Paper Players! Love that you used the wings for hearts..so cute! 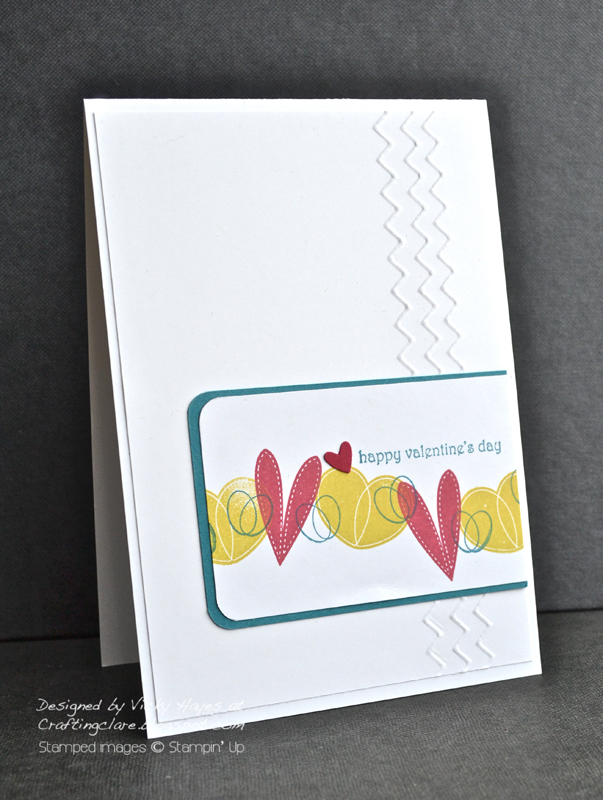 What a great valentine card, I love the embossed detail and the funky colours! This is brilliant Vicky - you are so clever!!! Cool card! I can't decide if I need that new board or not, but you might be persuading me! How cute and creative, Vicky! I would never have thought to use Bug Me this way! A fresh and modern take on "hearts"! Thanks for playing with The Paper Players! What an imagination you have to turn bugs' wings into beautiful hearts! So lovely! Vicky, I am absolutely in love with this card! A phenomenal layout and use of texture. 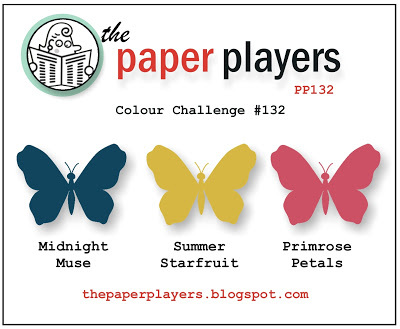 Thanks so much for playing along with The Paper Players this week! OMW, you are so brilliant, Vicky!! What a great idea that I will be pinning and CASEing coz I have this set! And happy, happy dance: I'm so delighted for your Cut Above shoutout from The Paper Players! !